This has to be one of my favorite projects I’ve tried all year, and it’s unbelievably simple. I love, love, love the way these ornaments catch the light and their earthy, natural vibe. (Wouldn’t they make amazing decorations at an outdoor fall wedding?) In our mild Tennessee weather these ornaments don’t last long but they look really pretty before and even as they’re melting. 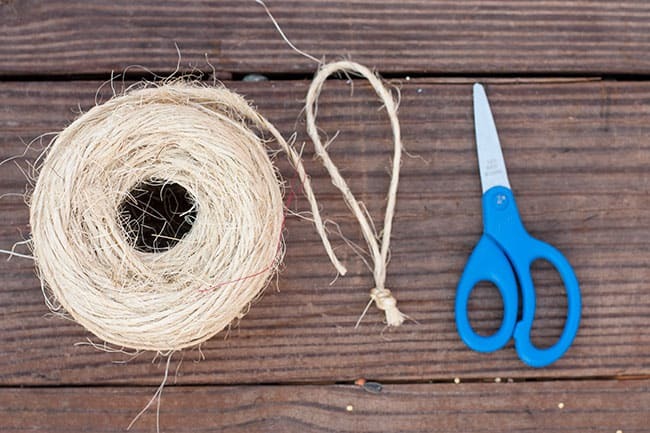 These are nearly impossible to mess up so it’s a perfect craft to do with kids. I’m planning on making a whole batch with my little cousins this weekend. After using forests of scrap booking paper in my life it’s nice to find a “green” project that gives back a little. The birds will thank you this winter! To make an ice ring place the drinking glass inside the bowl. Fill the bowl with an inch or so of water. Add bird seed and cranberries and place in freezer over night. 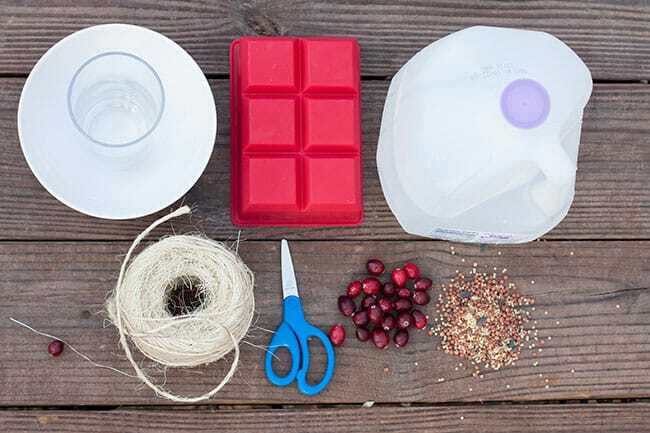 For the cubes (or any other fun shaped ice cube tray you might have) begin by cutting a piece of twine and tying it into a loop. 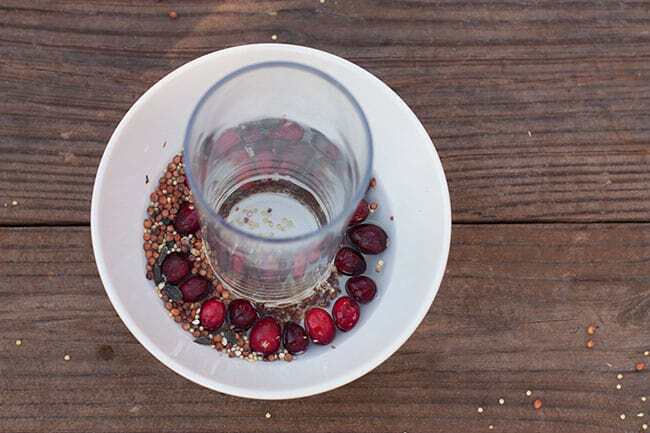 Fill the ice cube tray 1/3 of the way with cranberries and add the twine loop, knot down. You don’t want the twine poking out the bottom of the finished ornament (not that the birds will mind) so try to make sure it isn’t touching the bottom of the tray. 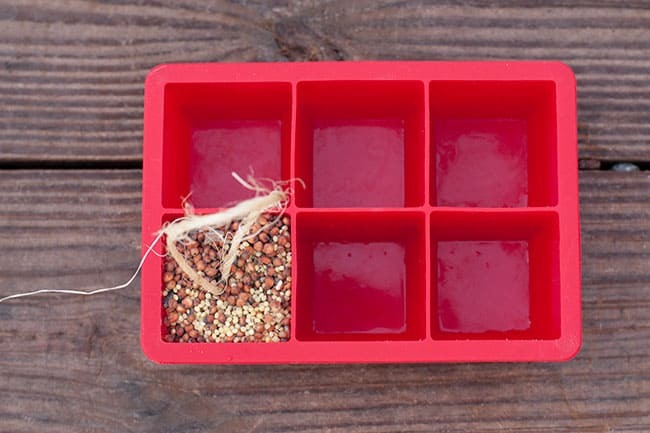 Fill the remaining space with birdseed. Now add water until there is a thin layer covering all the ingredients. Put the ice cube tray in the freezer overnight. 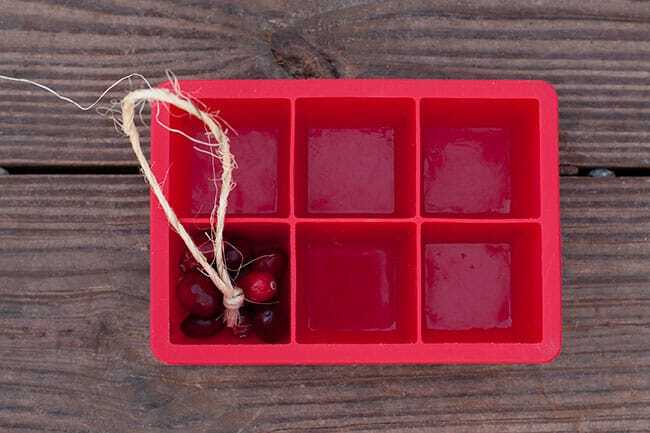 To remove the ice ornaments let the trays/molds sit in warm water for a few minutes, and they will pop out much easier. So the birds get to see the food encased in ice instead of being able to eat it? 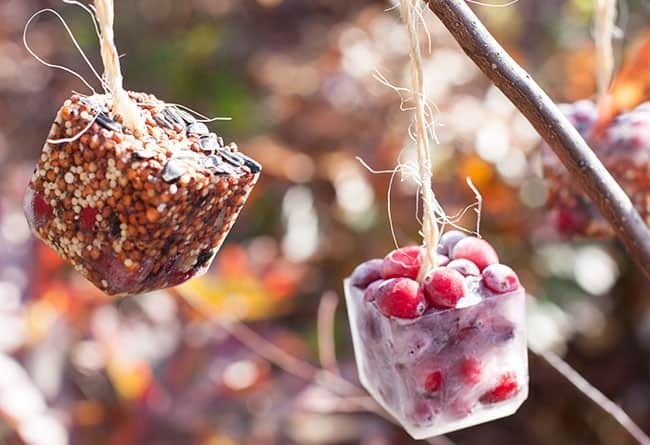 How ’bout be nicer to birds and also supply regular seed to them (in feeders and on the ground) while they’re waiting for these “decorations” to thaw? Beautiful! Love these & your photos. 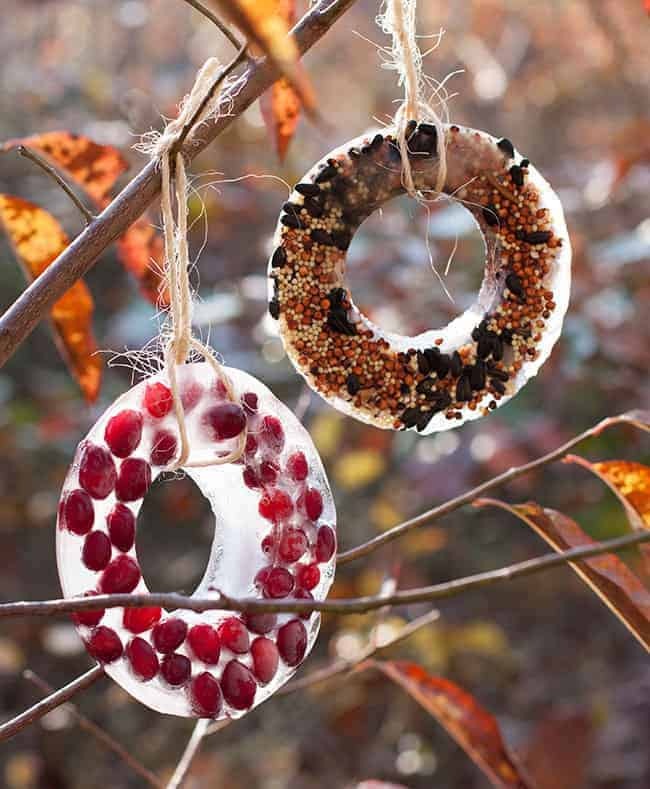 You could also use bunt pans for the circle ice ornaments…. That’s a great idea, wish they’d last longer in tn!